So, what did I get in the week of Sunday, January 17th to Saturday, January 23rd? This is from Penguin - thank you! I won this from Sarah - thank you so much! Unsolicited - thank you, St. Martin's Press! Anyone read this one? Thank you, Macmillan! Specifically, Brittany; I was sent three of the four books I requested from Macmillan last week, but this one wasn't there. So I asked Brittany and she said it's probably because they ran out of ARCs, but she was so kind to send me her copy in the office. Thank you! 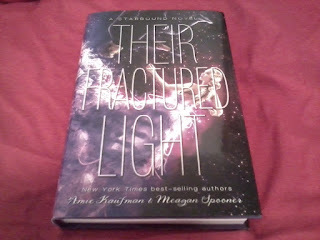 *happy sigh* Entangled was good to me this week! Forgive me if I don't respond to comments quickly this weekend - with snowstorm Jonas currently dumping a bunch of snow in this area, it's possible that we'll lose power and whatnot. Stay safe and warm, my fellow snowstorm refugees! Be safe in the middle of Jonas. Nice haul. I'm drooling over a couple of these that you got. What a great haul! We're getting hit real bad with the snow too... Stay warm and happy reading!! I might read it! I haven't decided yet - it's unsolicited, so it might get passed to someone else. Thank you, Brooke! 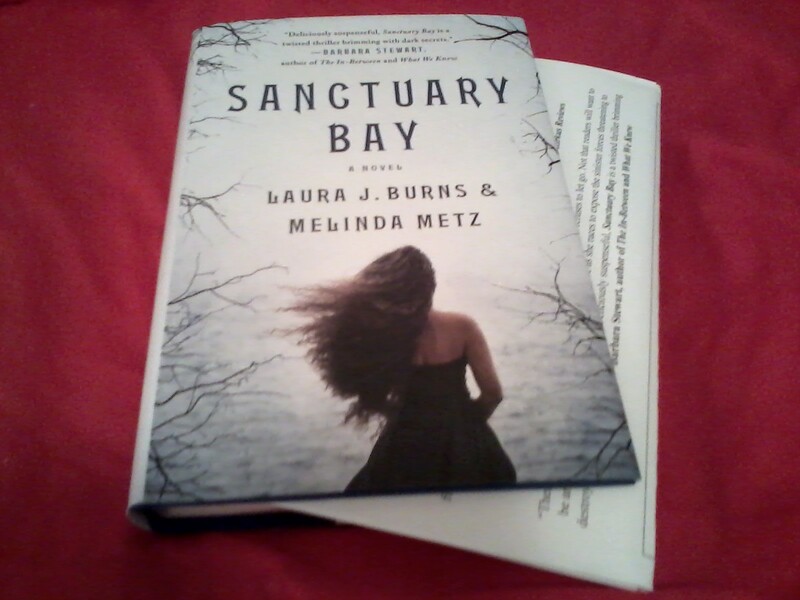 Sanctuary Bay is a very interesting read. I really enjoyed reading it, though it was creepy at times. Hope you enjoy all of these! So glad to hear that! I'm actually even less inclined to read it, because I can't do creepy. O_O Thank you, Lekeisha! OOoh nice! Super excited to read Sanctuary Bay! I read the author duo's first duology some years ago so I am ecstatic that they are writing again! And a creepy mystery to boot!! Ooh Rebel Sands! Been seeing a lot of this one, so naturally that generally starts to pique my interest! Ahhh, I don't think I can read it, creepy is soooo not my thing. Now, Rebel of the Sands, I can definitely read that one. :D Thanks and you too, Jessica! Ooo the gilded cage! That one looks fantastic. I can't wait to see your review for that one. Great haul!! 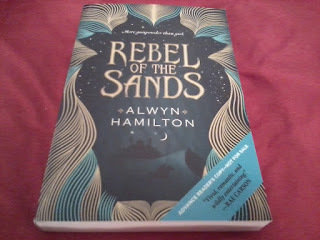 I can't wait to read Rebel of the Sands, I've heard is amazing! Great haul! I hope you enjoy them all! I've heard the same! Thank you, Lis! I kind of want the original ARC! But hey, I'm not complaining about this one. Thank you, Carina! Jonas is slaughtering my area, but luckily we still have power. I'm excited to read Rebel of the Sands and have been meaning to read Spooner's series. Great haul and happy reading! Hope you're staying warm! Thank you, Natalie! You too! I hope it is good! The Gilded Cage looks really good. I also have been seeing Sanctuary Bay a lot this week. I hope you love all of your books. 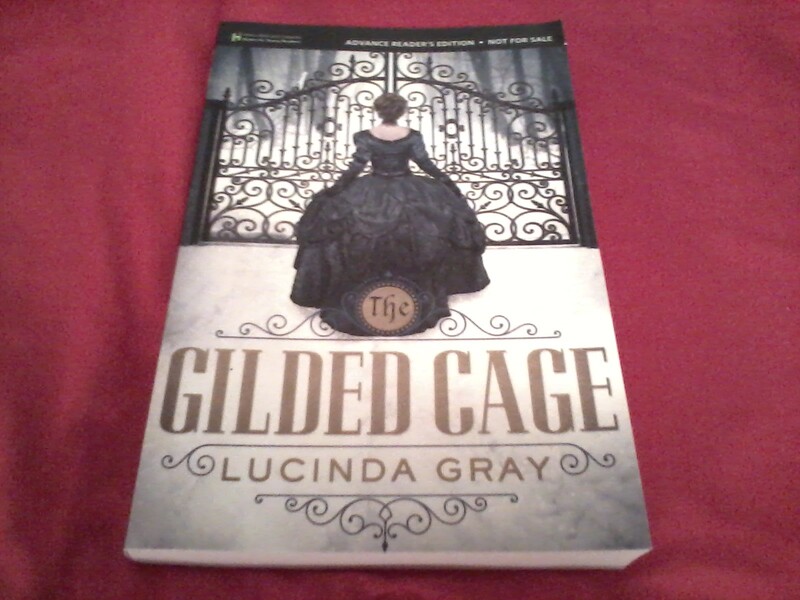 I can't wait to read The Gilded Cage! Probably passing on Sanctuary Bay. Thank you, Grace! 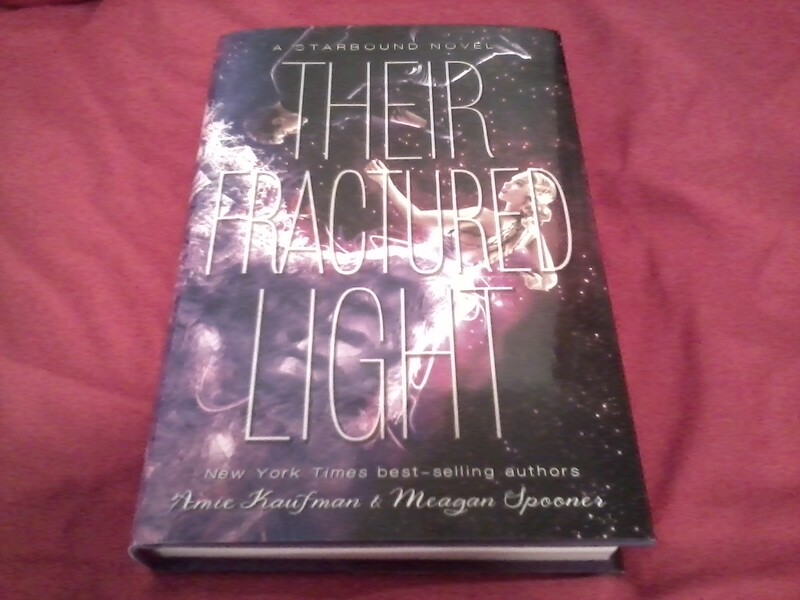 I have Rebel of the Sands on my goodreads TBR,The Gilded Cage looks good,I also want to read Their Fractured Light. I am also i the Storm, hope you are safe, warm and well stocked!! I hope you get a chance to read all of them, Joann! Stay safe! Be careful in the storm Alyssa!! The Gilded Cage looks so good- I can't wait to dive in. I love Rebel...do you prefer the new or old cover? 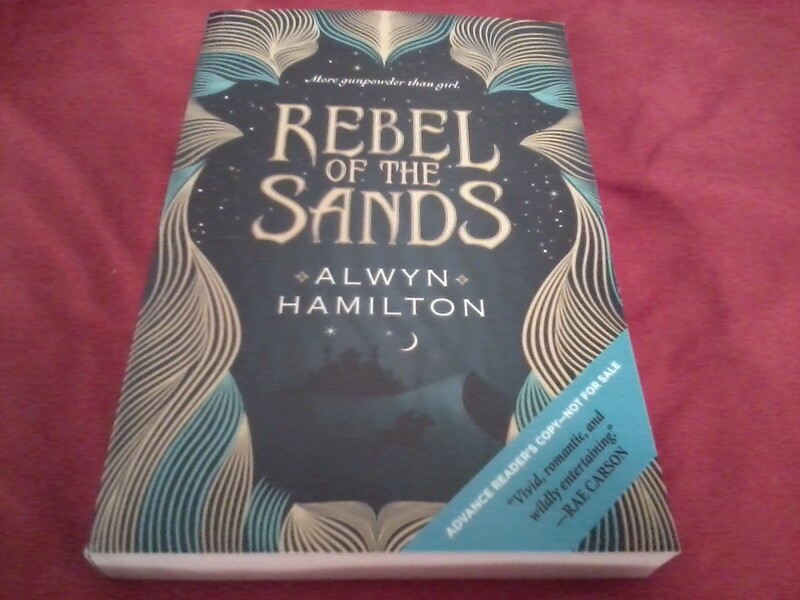 I have Rebel of the Sands as well, and can't wait to read it next month. What an awesome haul, Alyssa! 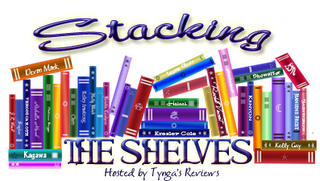 I'm excited to hear your thoughts on most of these, but especially Rebel of the Sands, The Gilded Cage, Boiling Point and the Samanthe Beck. I hope you love them all! Thanks! And it was really great of her! She is the sweetest. I'm thrilled about getting this copy of Rebel! I was looking for the old cover one, but I'll take what I can get, especially since it's from the pub. Awesome haul! I've seen The Gilded Cage around a lot and I'm definitely intrigued by it. I hope you enjoy all of these! Happy reading! Gilded Cage caught my eye this time around. Enjoy.